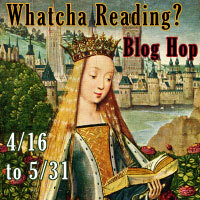 And please take a look at Tracy’s site where you can enter into her giveaway for her new book, Judgment Rising. Over the last few weeks I’ve immersed myself in books about the ancient world. Being a Romaphile , it’s no surprise that I love novels that are set in Rome. 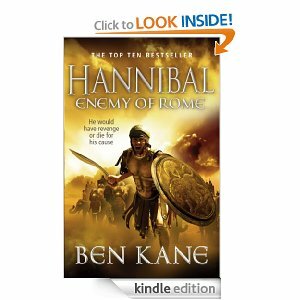 Ben Kane’s Hannibal: Enemy of Rome describes three journeys. The trek of the famous Carthaginian general who leads his troops over the Alps to challenge Rome provides the genesis for the novel, but it is the coming of age of two teenage boys who are destined to face each other across the battlefield that drives the action. Kane deftly draws the character of the Carthaginian, Hanno, whose fate is irrevocably changed after a harmless act of rebellion results in him being cast adrift at sea as well as in life. Enslaved, he comes to be owned by the father of the Roman boy, Quintus. Again, Kane describes a youth who rises to the challenges set him but at the same time shows his vulnerability. Both youths are rounded characters who display fear and come to understand the true meaning of loyalty: both to each other and to their countries. The book spares no punches when it comes to depicting the brutality of war and the callous attitudes of the times. As such, I wouldn’t recommend it to those who are squeamish. However, I was impressed with the portrayal of the hardships faced by Hannibal’s army during the perilous advance over the Alps; and Kane’s recreation of the strategies, artillery and progress of the battle at Trebia is masterful. At the end of the book, Hanno and Quintus have both become men, tested and blooded. And with their debts to each other repaid, Kane creates the perfect set up for a final confrontation in the sequel, Hannibal: Fields of Blood. I look forward to reading it when it is released later this year. 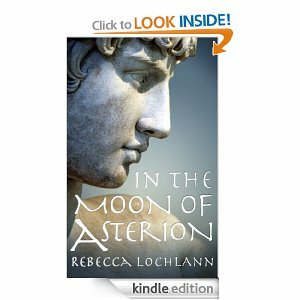 Rebecca Lochlann’s In the Moon of Asterion, is the third book in the Child of Erinyes series. Once again, the reader is drawn into the bronze age world of Crete with its mysticism and savagery. The love triangle between Queen Aridela and the two Mycenaean brothers, Chrysaleon and Menoetius, is continued. The fates of all three are inextricably linked and Lochlann very cleverly ties off all the story threads of each while introducing the reader to the intriguing concept of reincarnation. This is particularly satisfying for those who have read The Year God’s Daughter and The Thinara King but I’m sure new readers to the series will not struggle with the plot when reading In the Moon of Asterion first. The weaving of fantasy with history is seamless, and I loved how the story of the minotaur takes on new meaning as the myth is cleverly reworked. There are a few shocks along the way in this book which caused me to catch my breath a few times, and shed a few tears, too! This is the last of the books in the series set in the bronze age. Not only am I sorry to say good bye to Crete, but I couldn’t help thinking how poignant it was to know that the matriarchal society Lochlann describes, as well as the Minoans themselves, have been lost in time.